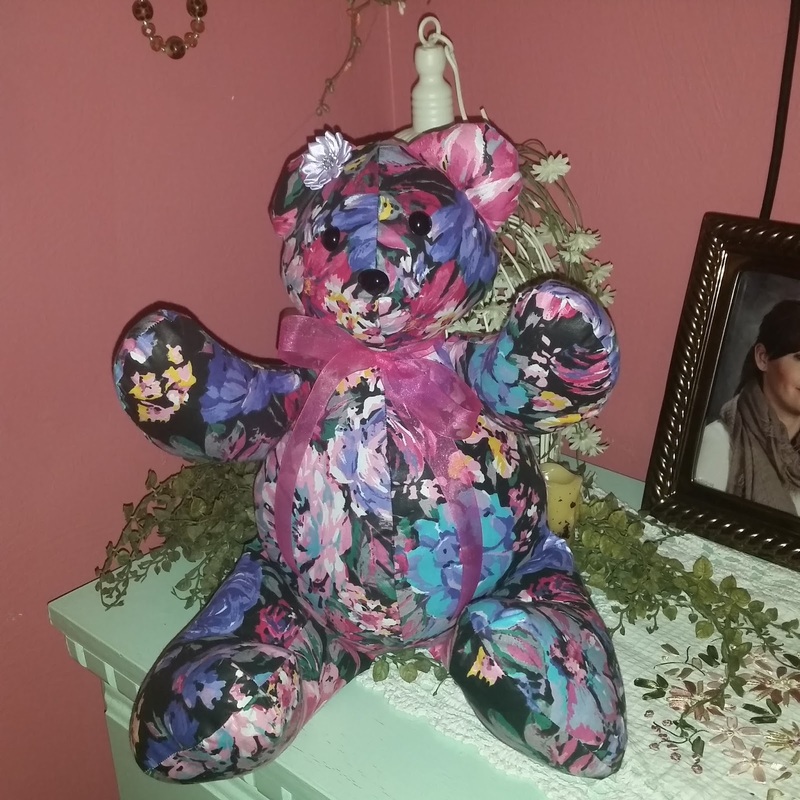 So I went and purchased a cute easy looking pattern and made my first bear for my 11 year old grand daughter Ayden. We weren't doing a 'memory' bear, so she chose some fabric out of my fabric stash and this is the result. Ayden loves her bear but asked if I could sew 2 buttons down the front, so I bought a pink button and a blue button. I'll do that this weekend. 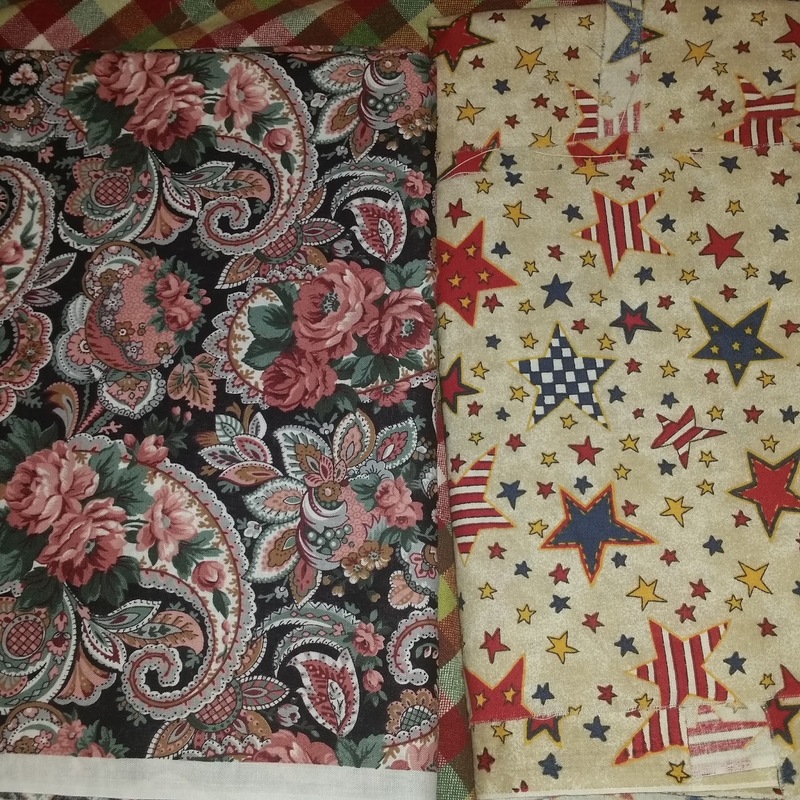 Bella chose a pretty paisley fabric ( which is dark colors) and I didn't have anything boyish for Rami, but he chose a colorful Patriotic fabric with stars. My friend's brother passed away in November and since then a new grandson has been born and I will be making that bear from his flannel shirt. Another friend ( more my daughter's friend, but she's also in our Bunco group and always at parties hosted by my daughter) said she had a proposition for me. She used to sew, but her machine has been broken for several years and never bought a new one. 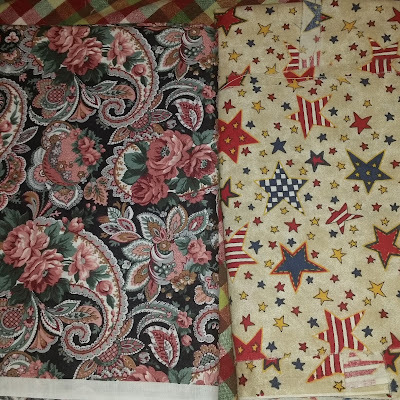 She wanted me to go in with her and make 2 sided table runners/cloths/mats and sell them at craft shows. I told her I'd need a few days to think it over and I had to decline. The #1 reason is because it would take me away from doing what I love to do and that's making my primitive/folkart crafts and #2 since my husband retired 7 years ago, we've been doing some traveling and I never know when we are are going to be away, so craft shows are not a good option for me. I felt bad turning her down, but it is the best thing for me. My dad was 100% Irish. My mother was what she referred to as 'Mongrel'...She had some Welsh from both her father and mother, English from her father & German, Pennsylvania Dutch from her mother's side of the family.